I'm a runner. I'm not a great runner - my PR for the mile is 5:20 which I set almost 15 years ago in high school – but I love to run. I hit the trails almost every weekend, something I've been doing since living in Salt Lake City where I lived 15 minutes from 3 different canyons and hundreds of different trails. I also love trying new things and making crazy attempts, like running straight up Angel's Landing in Zion National Park or competing in the popular Spartan Race obstacle events. My latest self-experimentation has been to join the rising number of barefoot runners. 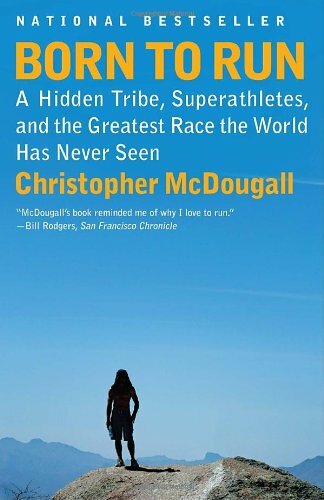 Like most people who go unshod, the big impetus for me was the book Born to Run, by Christopher McDougall. I listened to the audiobook from Audible.com on a trip to Zion and other national parks. I was fascinated, but not completely convinced it was for me. Nevertheless, I started eating chia seeds and thought about it a lot. 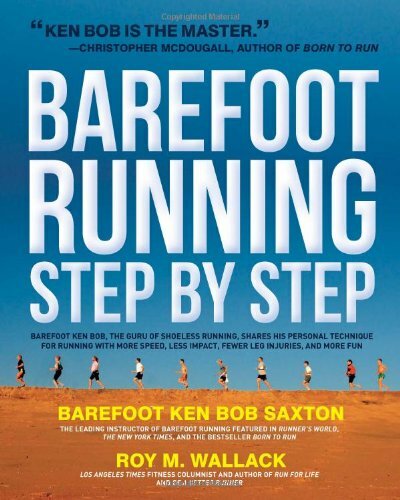 Every once in a while, I'd take Another day, I came across a beautiful book by Barefoot Ken Bob called Barefoot Running: Step by Step. I bought it as much for the great page layout design as for my curiosity in barefoot running, but by the time I was half way through, I was pretty convinced. Not necessarily convinced that it was the cure for all runners' ailments, but that there was enough information and rationale behind it to warrant giving it a shot. Heck, I didn't have any reason not to. I wasn't trainging for specific races and I was rarely able to run over 10 miles without knee pain, which everything I read indicated would be resolved. So I gave it a shot. The biggest challenge was finding a way to run barefoot in Salt Lake City during the winter. I wasn't about to try to log miles barefoot in the snow (although I did venture outside once or twice just to confirm that even a few hundred feet hurts). I had heard about minimal running shoes and, although Barefoot Ken Bob adamantly opposes any shoes, I looked into that option. TheClymb.com is an online store offering big discounts on outdoor gear. I took advantage of some offers and ordered a pair of Skora Base and Vivo Barefoot Neo shoes. It's really a different experience and took a long time to get used to them. Unfortunately, I suffered what is often labeled B.R.E.S. – or barefoot running exuberance syndrome. You see, running barefoot (not just in minimal shoes, but actually barefoot) is really quite exhilarating, and at first you feel like you're getting the hang of it with no problem. But unbeknownst to you, your calves and intrinsic foot muscles are getting worked more than they ever thought possible, and eventually something's gotta give. For me, it was my gastrocnemius and soleus when I went for an 8 mile run while training for a half-marathon. About halfway through, my calf started really burning, and by the time I got home, I could barely walk. I had a grade 1 or 2 muscle strain. It swelled up like crazy and I could barely walk for the next week. But, fortunately I was able to heal up quickly enough to run the trail half marathon two weeks later! After successfully completing the Moab Trail Half-Marathon, 2 weeks after straining my calf. I learned an important lesson, but I wasn't about to give up. I just needed to give my body more time to adapt to the change in gait and stresses presented by a different running style. I've continued experimenting with barefoot running and minimalist shoes… and I've managed to strain my calves two more times (though not seriously, and I heal within a few days). But it may not be running differently that causes it. It could be my decrease in strength training, or the particular shoes I've been wearing. In fact, over the next few weeks I'll share some 'reviews' of the shoes I've been using as well as other thoughts about barefoot running and fitness.